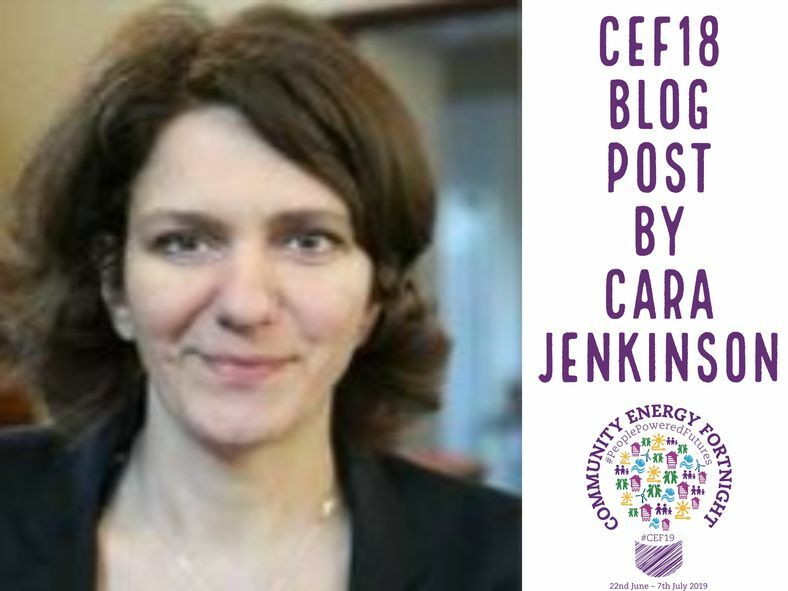 Cara Jenkinson, Senior UK Programme Officer at Ashden and Chair of Muswell Hill Sustainability Group, explains why community energy groups should engage and get involved in their Local Enterprise Partnerships. “It’s just great, the way the kids can see the energy being generated” Woodside High School’s Business Manager Jonathan Durbin told me at our solar celebration last week. 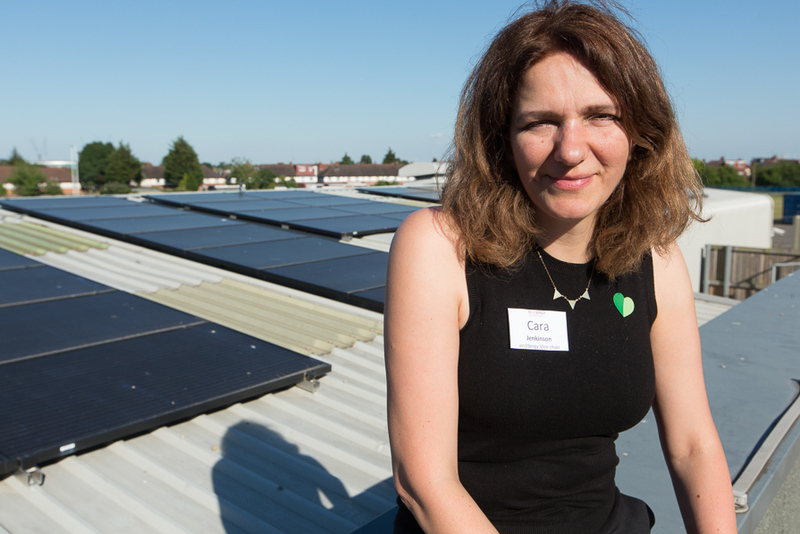 In the dark days of November last year, my community energy group en10ergy put up 150 solar panels on the roof of the North London school’s sports hall. 6 months later, the panels are using the summer sun to generate 15% of the school’s total electricity needs. It was lovely to see local councillors, school governors and students from the school’s new Environment Club at our celebration. While there have been some success stories like this one over the last year, it has certainly been one of the most challenging times yet for community energy in England. Reductions in Feed-in-Tariffs combined with the removal of tax incentives for renewable investment have resulted in a large fall in the numbers of new projects started, according to Community Energy England’s 2018 State of the Sector report. So, is there any light at the end of the tunnel for Community Energy in the UK? There is certainly a lot of innovation going on – in my day job I work for Ashden who runs a well-known award scheme for pioneers in sustainable energy. One of our 2018 winners was Energy Local who have introduced a game-changing solution to large discrepancies in the amount households pay and the amount generators earn from local renewable energy, with its match tariff. Other community energy groups are experimenting with community-owned battery storage, electric vehicle chargers, and even peer-to-peer electricity trading. But most of these projects are small-scale, and it is only a handful of the larger, more ‘advanced’ community groups that are trying things out. Is government policy likely to become friendlier to community energy? As the well-documented energy transition takes us from the old centralised model of large fossil fuel-based power stations to an ever-growing number of distributed, decentralised energy projects, the Department of Business, Energy and Industrial Strategy has started to recognise that energy planning needs to be local. They have recently asked Local Enterprise Partnerships (LEPs) to produce energy strategies for their local areas. Last week I attended one of the strategy workshops being held by three of the South East LEPs covering Essex, Kent, Sussex and Hampshire. Their scope was broad, covering options for decarbonised heat, fuel poverty, power generation and the smart grid. There is an opportunity for community energy groups to get involved in this local energy planning work, and it was good to note that Community Energy South are already engaged in their local area. By helping to shape and deliver local energy strategies, community energy groups can influence wider low carbon work such as fuel poverty and retrofitting. But, this will only happen if the Local Enterprise Partnerships are genuinely open to community involvement, and we, as community energy groups, should be pushing for this. The LEPs also offer a new lever to lobby national government for more supportive policies; by working in partnership with them, our voice could get louder. One emerging example of local leadership is the Mayor of London who has created a London Community Energy Fund to support feasibility work by community energy groups, for both solar and a broader range of projects. We at en10ergy are fortunate to have been awarded GLA funding for our next project, installation of solar panels at New River Sports Centre over the road from Woodside High School. Another great example is Oxfordshire, where the Oxfutures project to boost low carbon economic development is being delivered by community energy group Low Carbon Hub (also an Ashden Award winner) working with Oxford City Council. If other local authorities and LEPs were to engage with their local groups in the same way, could we yet see a renaissance of community energy?